Now that 2017 is in the past, it’s time to go over which digital currencies landed in top place due to their gains. Bitcoin, early on, was the shining star and then declined somewhat with a worth of $20,000 but as far as percentage, it didn’t come close to being a winner. They only landed in fourteenth place, as reported by CoinTelegraph. There were several older alternative currencies, or altcoins, were actually quite impressive such as Dash. Dash reached an all-time high of 13,900% in mid-December but then dropped, ending the year with a 9,265% gain which landed them in fifth place. 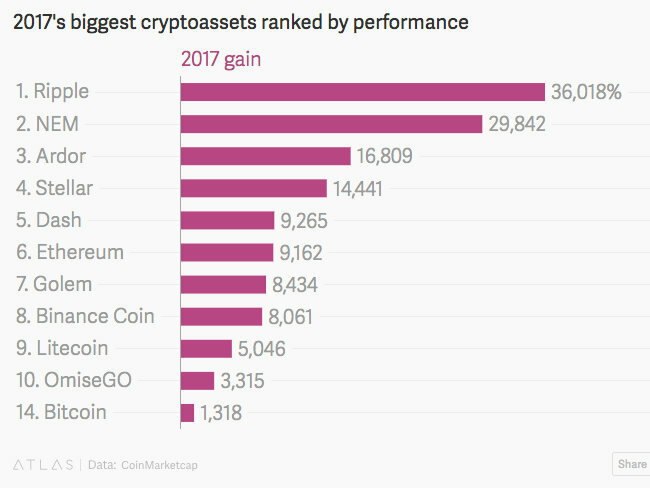 Some of the other winners included Ethereum with an excellent year, landing in sixth place with gains of 9,162%. Litecoin, which is one of the oldest altcoins, finished out the year in ninth place with gains of 5,045%. There are newer coins on the market that had an excellent year including NEM and Ardor who took second and third place, respectively. Stellar, Binance Coin, OmiseGo, and Goldem finished off the top ten. Ripple is the centralized bank-focused digital currency that took the prize with an amazing 36,018% return for the year. Investing $1,000 in Bitcoin would bring a return of $13,180 in January 2017 but that same $1,000 invested in Ripple would be a staggering $360,018! In regards to centralized bank-focused digital currency, in September of 2017, banks started experimenting with DLT and the notion of central bank digital currencies. DLT stands for Distributed Leger Technology which is a digital system for recording transactions. But, unlike traditional databases, these ledgers do not have administrative functionalities. Ripple showed excellent growth during the second quarter but its amazing surge didn’t happen until the last few weeks of December. Even though Bitcoin was expected to continue being the shining star, it could not compete with Ripple’s overall performance in price. After hitting an all-time high of $673 billion, there are no signs that 2017’s records will be slowing down. Max Keiser, a digital currency journalist, and enthusiast, believes the digital currency market cap will reach $5 trillion or possibly even higher. He said the biggest problem with Bitcoin is its status as digital gold while there are other currencies that are better suited for payments. 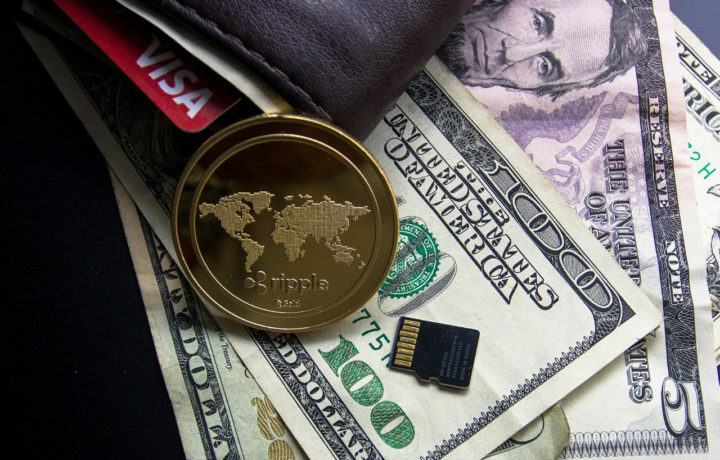 Although some experts believe you should keep an eye on Dash and let Bitcoin remain as digital gold, there are others that believe that because the number of available Bitcoins is lower than thought, those that have this currency will not be selling anytime soon at any price. While Bitcoin is only 37.5% at this time, the total cryptocurrency market cap is still dominated by Bitcoin. Its current market cap of $250 billion is divided by the 673 billion market cap of all cryptocurrencies. Bitcoin’s dominance percentage is 37.2% while a year ago it exceeded 90%. While many Bitcoins were lost and haven’t been mined lately, those who hold Bitcoins will not be selling anytime soon but will wait to see what 2018 will bring.